A couple of great new cookbooks arrived on my front porch awhile ago, and I wanted to try out a few recipes so I could share them with you. So, without thinking about it, I pulled out my phone and started a list of ingredients I'd need: basmati rice, fresh peas, tahini, mint, fennel, lemons, poblano peppers, smoked paprika, kimchi, fava beans, maybe some seasonal greens like garlic scapes, mizuna or raab. 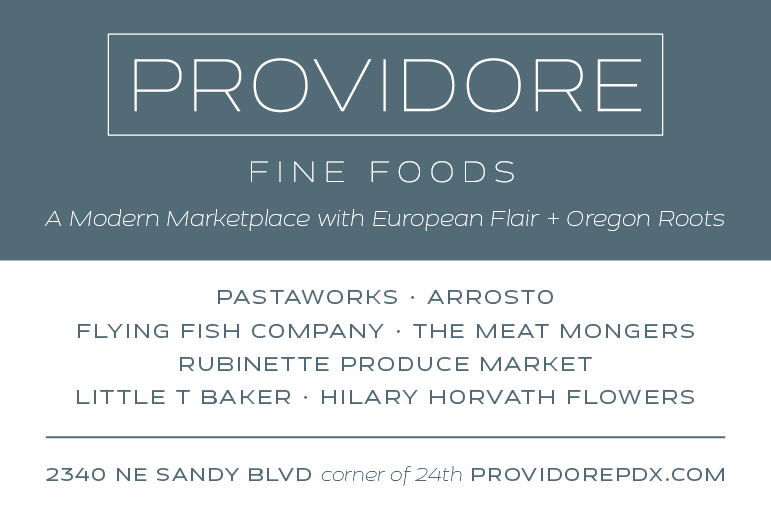 Between a Whole Foods within walking distance and two New Seasons stores less than a mile away, plus Providore on Sandy that's not much further, most of the list was covered. Not to mention the four farmers' markets nearby for seasonal produce like local peas, favas, carrots, fruit and whatnot. Meats or fish? There are butchers and fish markets aplenty. And even if a recipe calls for exotic ingredients like Vietnamese culantro or key limes or black cardamom pods, between the Asian, Thai and international specialty markets in the area, there are very few things I don't have access to. Okay, maybe not fresh durian. You've got me there. M. Crow general store in Lostine, Oregon. So my trip last week to the northeastern reaches of Oregon was a bit of a wake-up call. I was there to attend the Eastern Oregon Community Food Systems Gathering in La Grande, sponsored by the Oregon Food Bank. Added benefit: the keynote for the day-long conference was delivered by my friend Lynne Curry, an author, food activist and journalist from Joseph, Oregon. The 53 people who gathered that morning over local pastries and coffee were a mix of food bank folks, Oregon State University Extension people, representatives from other community food agencies and a handful of area farmers and food retailers. Curry's keynote contrasted the food system she found in 2001 when she moved to Joseph with the one that exists in 2016. When she first arrived, the only stores that carried groceries had a few staples, but depended mostly on sales of cigarettes, beer and junk food. Most of her actual food came from what she termed the "hidden food system" of rural living: food access meant getting eggs from the woman at the bookstore who raised chickens, foraging for mushrooms and other greens, and growing vegetables herself or trading with neighbors for the things she didn't grow. In the winter she fed her family from meat in her freezer and the jams, pickles, vegetables and sauces she'd preserved during the summer, much like our grandparents did in earlier times. It was amazing to me to realize that almost none of the food produced—mostly wheat and cattle—on the region's rich agricultural land is consumed locally. Rather, it's shipped hundreds, if not thousands, of miles across the country to go into the commodity market. 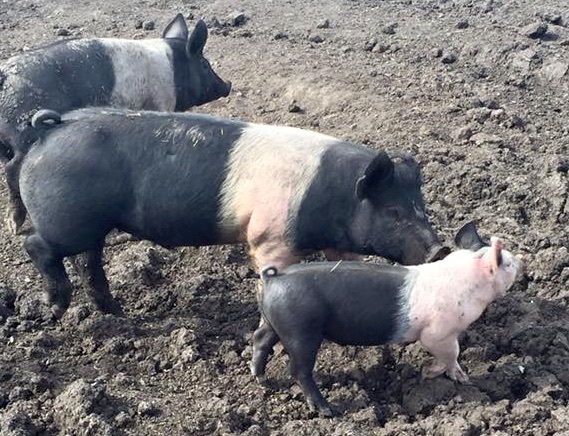 Though, as Curry noted, that is starting to change, with livestock producers like Carman Ranch in Wallowa and 6 Ranch in Enterprise beginning to produce a marketable number of grass-fed cattle, as well as working with other area farmers to offer pigs, lamb, goats, chickens, eggs, honey and vegetables to their neighbors. These ranchers are also bringing their products to a growing number of families in Western Oregon who are interested in humanely and sustainably raised local meat. Curry is seeing the interest in locally produced food—like the meat and vegetables above, along with beer and other products—becoming much more widespread, losing the "elitist" or "gourmet" label it had in 2001. Today, even in the far-flung regions of our state, she said that people are talking about where their food comes from, along with how it is produced, in a much more meaningful, inclusive way. And in this region where conventional agriculture—i.e. an industrial model that uses pesticides, herbicides and antibiotics—was the norm, people are beginning to demand more organic, sustainable food products for their tables. Produce at the La Grande Farmers Market. 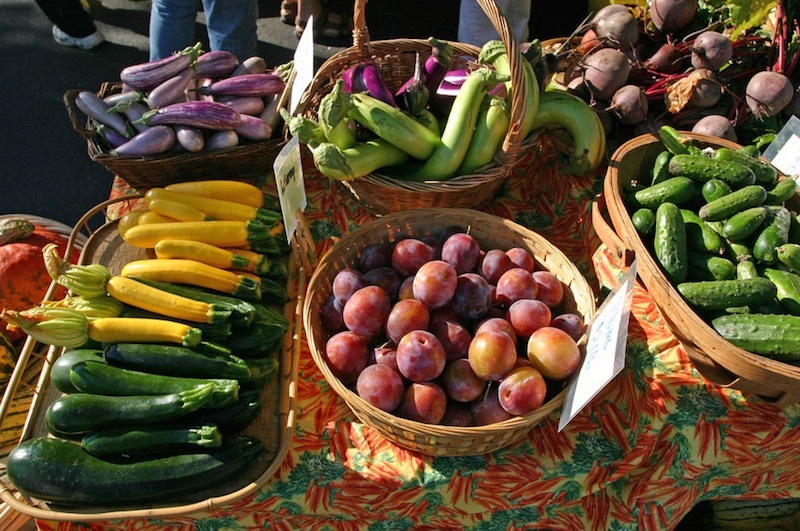 Farmers' markets in the area, which were few and far between in 2001, became a big outlet for local farmers and producers, and experienced growth that has slowed somewhat today. But, like here in Portland, they still act as incubators for new products, plus being what Curry referred to as a "third place" where communities can gather. She believes that this social aspect may be as important as the food that is sold, with the added benefit that they have an intrinsic educational component, showing people a different model of a food system, one based on community and relationships. Despite this good news, though, there is still a great deal of work to be done on the issues of access to good food, not to mention the problem of food insecurity—that is, not having reliable access to a sufficient quantity of affordable, nutritious food. 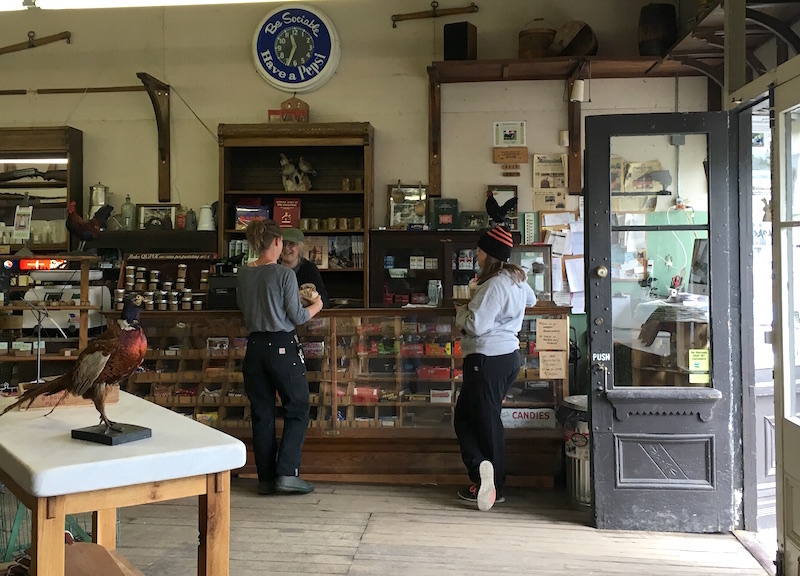 As outlined by Lauren Gwin and Sara Miller of the Oregon Community Food System Network, 18 of Oregon's least populous counties have lost stores where the community can access food. For instance, Morrow County went from five stores to one; Lake County went from three to one; Umatilla County went from 16 to 12. The town of Union has one store, which carries everything from hardware to t-shirts and features a small but adequate selection of staples on its shelves. 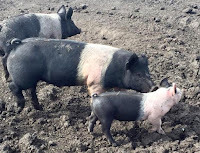 Pigs from Community Merchants in Union, Oregon. Not surprisingly, these small, isolated communities also have the highest average cost of a meal, which makes sense considering the cost of getting the food to rural locations and the distances people have to travel to buy food. Compared to a national average of $2.77 per meal, people in Crook County average $5.01 per meal. In Curry County it's $3.18 and in Wasco County it's $3.10 per meal. Which, of course, means that the people who have the least amount of money to spend on food end up paying some of the highest prices for it. Laying out the issues and challenges was the precursor to start coming up with solutions. Lynne Curry spoke about the opportunity to connect technology to the food system, proposing, like food hubs in urban centers, establishment of a collaborative network for transporting and distributing food to far-flung communites. This echoed another suggestion that rural groceries—which rarely meet the minimum orders required by large distributors—should have a system of joint purchasing agreements, which could potentially lead to purchasing and distributing produce and meat from area farmers and ranchers, which would also benefit local economies. There was a discussion of connecting the local health community to the food system in the Veggie RX "screen and intervene" program, where health care providers give low-income clients vouchers for free fruits and vegetables to stretch their SNAP (food stamp) benefits. One group of farmers and retailers met to discuss how to bring more locally produced value-added products to market—jams, jellies, baked goods, pickles, etc.—with a focus on establishing certified community kitchens where producers could access commercial equipment. There was also discussion of the recently passed home bakery exemption (SB320) and the domestic kitchen license, with many questions asked about how it could be applied to bring more local products to market. The energy of this group, even after a day of presentations, discussions and summations, and their desire to work together to better the everyday lives of the people in their communities, was inspiring. I'll be following up on these issues in future reports, and if you have comments or questions, please post them in the comments section below and I'll try to get them addressed. 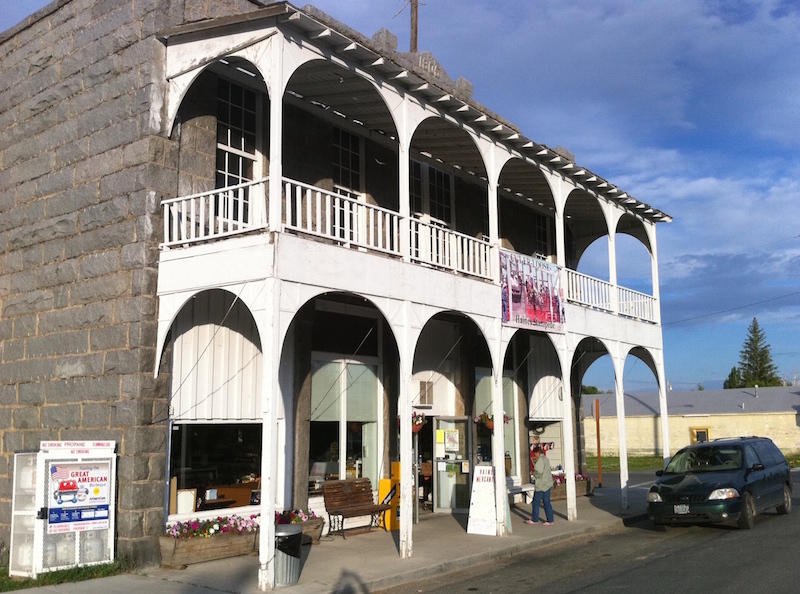 Photo of Joseph, Oregon (top photo) from its website; photo of La Grande farmers market from its website; photo of Community Merchants pigs from its website. Hi, Kathleen. This is a nice article, but there are some errors. North Powder has a very small but nice grocery store, which has been continuously in business for decades. It changed hands last year and the new owners have really improved the stocking, cleaned it up and continue to provide great deli sandwiches in addition to a good line of staple groceries and beverages. It serves the community well for those times in between trips to the grocery chains in La Grande and Baker City. Union has a wonderful neighborhood-type grocery store, at which you can get just about any groceries you need, including produce, and their own butcher and meat counter, from which many of us drive out of our way to get our meat. Union also has a terrific hardware store that caries everything from housewares, tools and fencing supplies to a garden center with plants grown specifically for this area. I make these corrections because I really appreciate how hard the proprietors work and what they sacrifice to serve their communities. 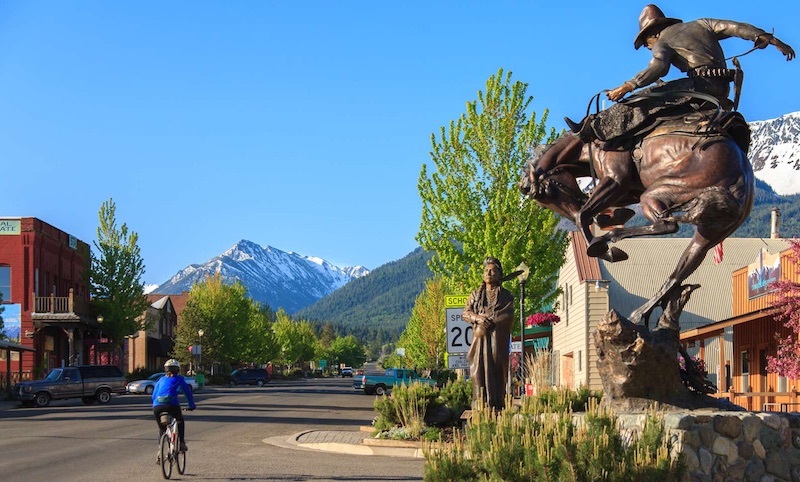 There are similar stores in Summerville, Haines, Elgin, Imbler, Fossil, Condon, Dayville, Kimberly, Lostine, Wallowa and most other communities scattered across Eastern Oregon. They may not carry gourmet items, but they carry what residents need to more than just get by. Thank you for considering this in future articles. In fact, I have often thought many of these small-town mercantiles would make a really fun travel article. I would be happy to point you in the direction of several I feel are especially enchanting. Thanks for your input, Janet. I'll make the correction to the post. And I'm very happy to hear that North Powder still has a viable grocery store…it was at the conference that we were told there wasn't one there anymore, news I was sad to hear. My childhood trips to visit my grandparents in North Powder were always punctuated by errands to walk to the store for milk and the occasional candy or comic book.